This series will highlight important figures in the White Mountains, both past & present. It may be argued that no other White Mountain figure in history wore as many hats or involved himself in as many disciplines as the nearly ineffable Joseph B. Dodge. A native of Manchester-by-the-sea, Massachusetts, Joe left his family’s furniture business to join the Navy as a submarine radio operator at age 17. 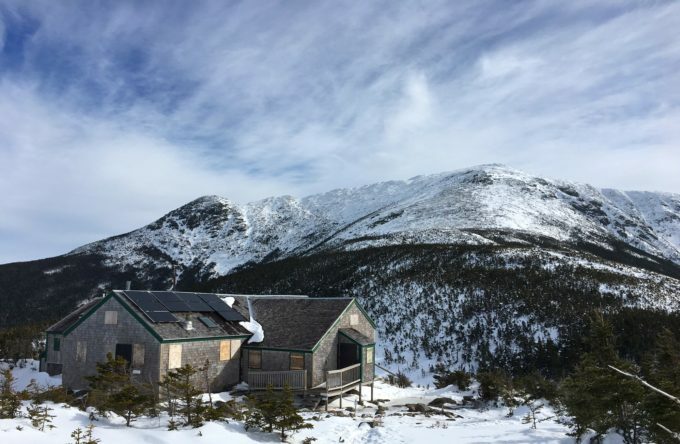 Upon his return at 23 years old, Joe headed north for Pinkham Notch in the White Mountains to become hutmaster at the AMC lodge. His legend grew from there. 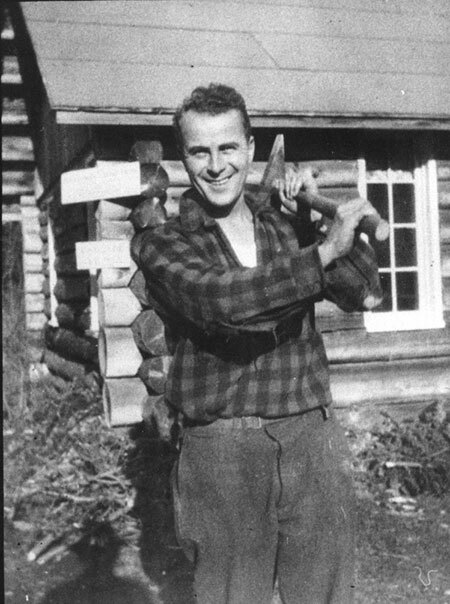 In 1922 Joe’s long career with the Appalachian Mountain Club began with his acceptance of the position of hutmaster at Pinkham Notch, nicknamed Porky Gulch for its impressive population of porcupines. His tenacity for improving his surroundings was immediately evident as he tackled projects that summer ranging from constructing new facilities buildings, building canopies, cutting firewood and killing those nuisance porcupines in great numbers. In Spring of 1926 Joe ‘threw away the key’ upon arriving at Pinkham Notch camp and it has remained a year-round facility for the AMC ever since. Eager and insatiable as Joe’s appetite for projects was, the AMC was able to produce enough challenges to match. 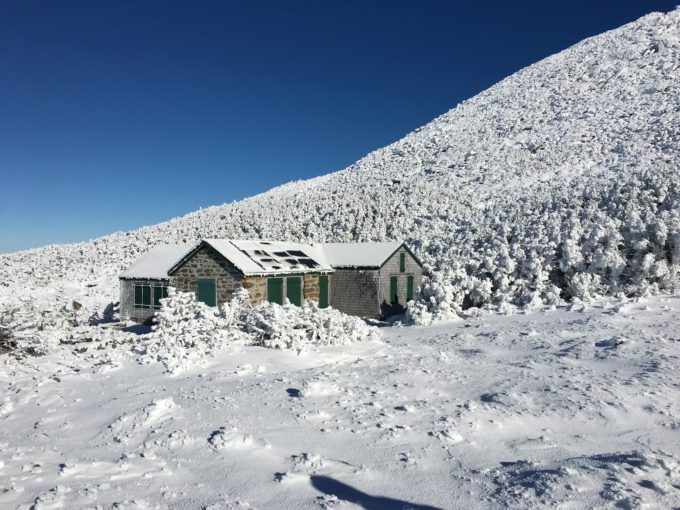 In 1929 the committee added a list of improvements and additions to the growing hut system in the White Mountains with Joe as chief coordinator. By 1930 he was cruising the spans of trail between the discontinuous link of AMC huts, scouting locations for new constructions. The Galehead and Zealand Huts proved the culmination of this mission. Several other hut projects followed in the years to come, but Dodge’s own self-proclaimed crowning achievement was a feat of engineering; a miniature dam and plant on the Cutler River that would provide additional power for the ever-growing demands at Pinkham Notch from 1939 to 1960. Perhaps as notable as those he had saved is how many accidents he likely also prevented. Joe was a constant at Pinkham Notch during the 1920s and 1930s, touching base with most who passed through, doling out expert advice and instruction in his characteristic loud and colorful language. Spending countless hours outside of four walls, paired with his innate fascination with science culminated in perhaps Joe’s most impressive endeavor; the Mount Washington Observatory. Joe not only co-founded the observatory in 1932 but continued his service as its managing director and treasurer until his death in 1973. With a handful of donors and a four-hundred-dollar grant from the N.H. Academy of Science, the combined efforts of Joe, Bob Monahan, Sal Pagliuca, and Alex MacKenzie created the observatory. 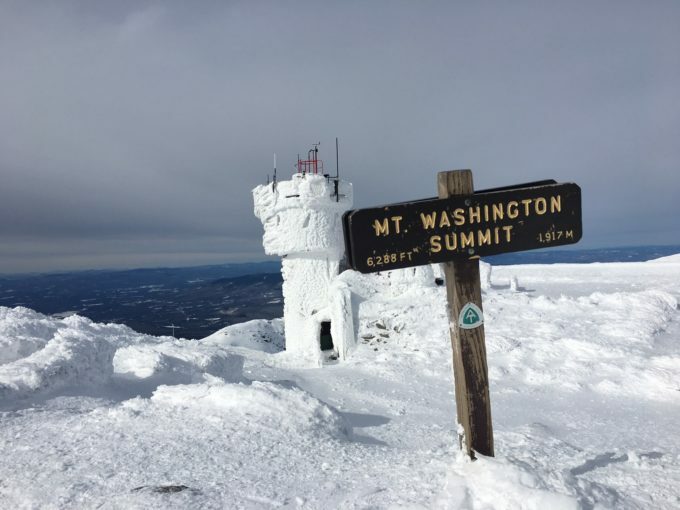 Its mission was to collect key weather data to increase understanding of the extreme conditions on Mount Washington. Not long after, on April 12, 1934 the observatory solidified its importance by recording the world’s fastest surface speed wind observed by man: 231 mph. Over the years, the institution has grown by leaps, encompassing new technology, providing forecasts for trampers and climbers, and evolving into a national resource for weather observation and research. Elizabeth’s love for the White Mountains is unparalleled. Despite working 40-50 hours/week, she manages to spend every spare minute in the Whites and her knowledge of the trail system is impressive. Her pup, Katahdin has likely logged more hours on the trails and tagged more summits than most do in their lifetime. On any given day, you can find Elizabeth hiking, trail running, fly fishing, climbing, mountain biking, or backpacking. She considers the White Mountains her home. Calling all talented writers, photographers and creatives with a passion for the outdoors to join our Brand Ambassador Team.